Data Integration. 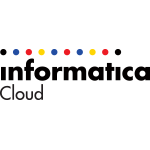 Informatica provides data integration software and services that enable organizations to gain a competitive advantage in today's global information economy by empowering them with timely, relevant and trustworthy data for their top business imperatives. Business Applications. Different AMIs offering pre-instelled SUSE Linux Enterprise Server: SUSE Linux Enterprise Server for SAP Applications or CoreToEdge SAP Installation Ready SLES/HANA Server Platform. Business Applications. Wordpress is the most popular open-source blogging platform that is currently in use, and it requires MySQL database, Apache, PHP and various PHP plugins to run. Therefore, Wordpress installation from scratch requires certain amount of technical expertise. In this AMI, the fully configured application is baked in with a randomly generated database password for security. You can spin up a node from the AMI and start blogging from the get-go, with no additional configuration necessary.